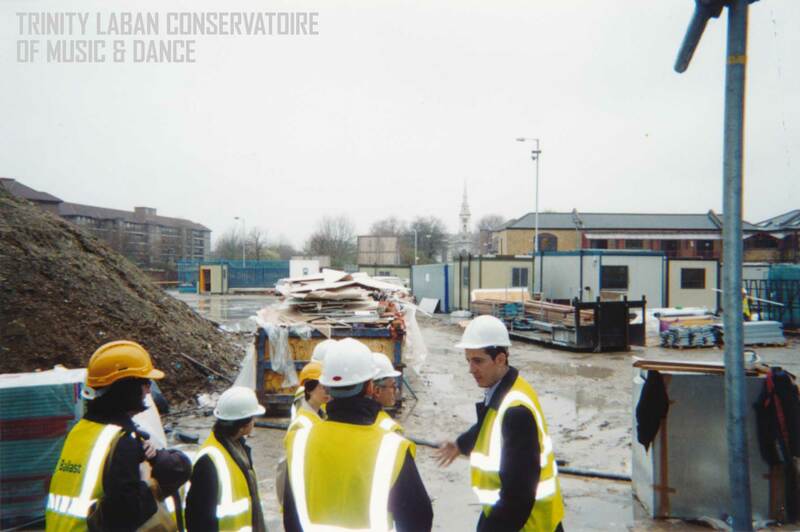 In this the last post in our series celebrating the 70th anniversary of the Faculty of Dance at Trinity Laban Conservatoire of Music and Dance, we take a look at items in the archive illustrating the development of the Laban Building at Creekside. 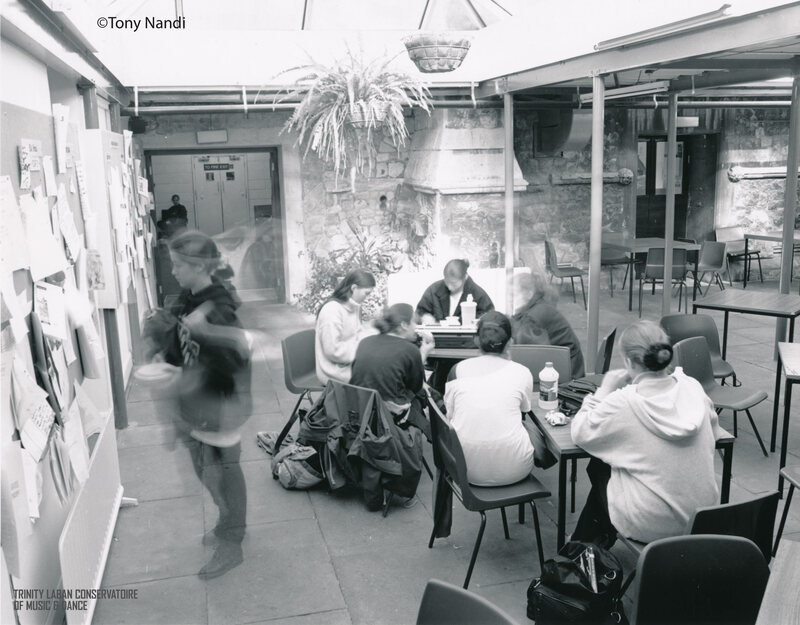 In 1997 an international architectural competition was launched to find an architect to design a new building for what was then the Laban Centre (now the Faculty of Dance, Trinity Laban Conservatoire of Music and Dance). The Centre had been based at Laurie Grove in New Cross, SouthEast London since 1976. But the Centre had run out of space and needed world class facilities to match its world class status as the largest training school for contemporary dance in the world at that time. Out of a field of one hundred and twenty competing architects, six were shortlisted. The Swiss architecture firm Herzog & de Meuron were chosen as the winners. A funding application was made to the Arts Council which provided half the funds needed to build on a brown field site in Deptford in Lewisham, an area rich in history. See a section of an historical Ordnance Survey map, from the National Library of Scotland, of the area from 1898 here. 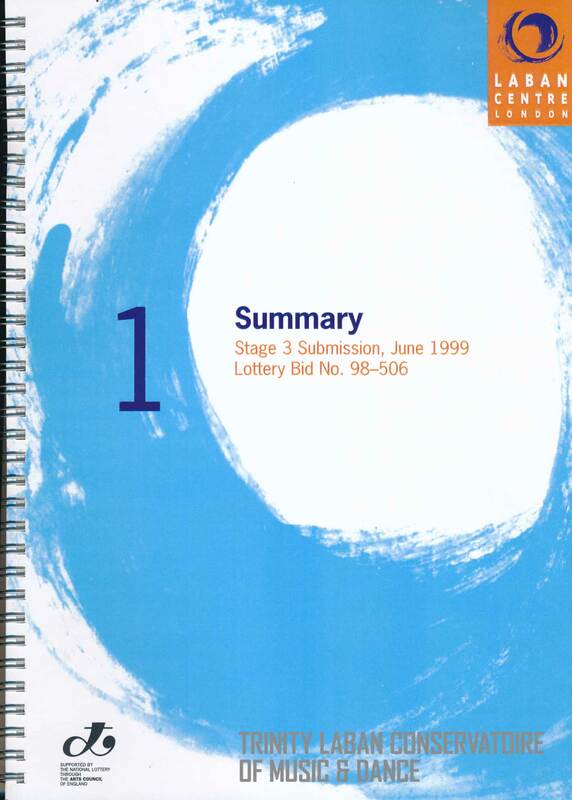 The full application document included volumes on the design of the new building, arts and educational activities, public benefit, financial viability, management and marketing, along with weighty appendices including plans of the new building. The funding bid was successful and work began on the new building in 2000. By October 2002 staff and students were able to move in. On 5 February 2003 our new building was offically opened by the Rt Hon. Tessa Jowell MP, Secretary of State for Culture, Media and Sport. Performances at the official opening ceremony were given in the new Bonnie Bird Theatre by Transitions Dance Company, CandoCo Dance Company, Ballett Frankfurt and The Cholmondeleys and The Featherstonehaughs. Recordings of these performances can be viewed in the Laban Library and Archive. 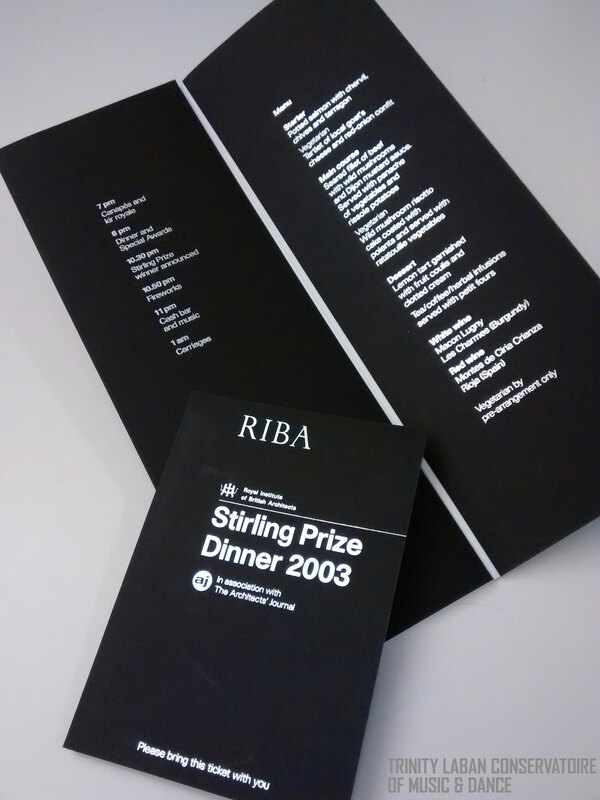 On 11 October 2003, Laban, now the Faculty of Dance, Trinity Laban Conservatoire of Music and Dance, won the prestigious Stirling Architecture Prize for its new building at Creekside. The Prize was announced at a glittering awards ceremony held at Explore@Bristol, the science centre. 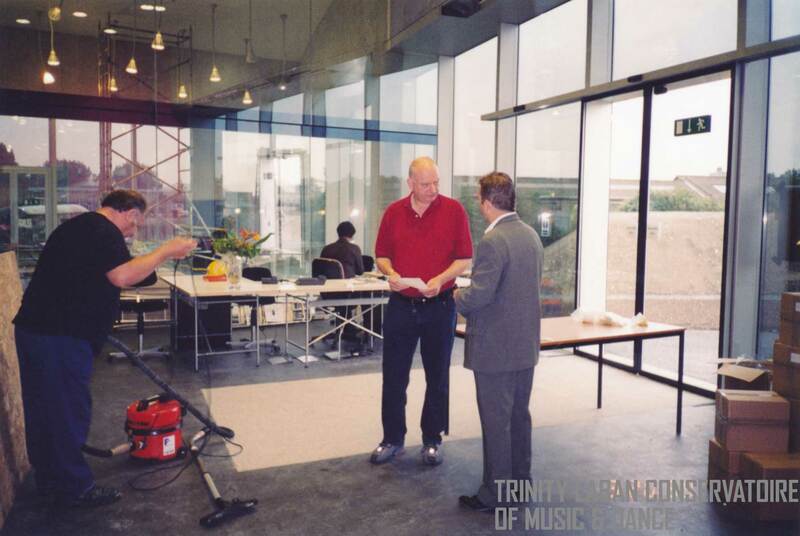 And in 2005, Laban merged with Trinity College of Music to form Trinity Laban Conservatoire of Music and Dance, the UK’s only conservatoire of music and contemporary dance. 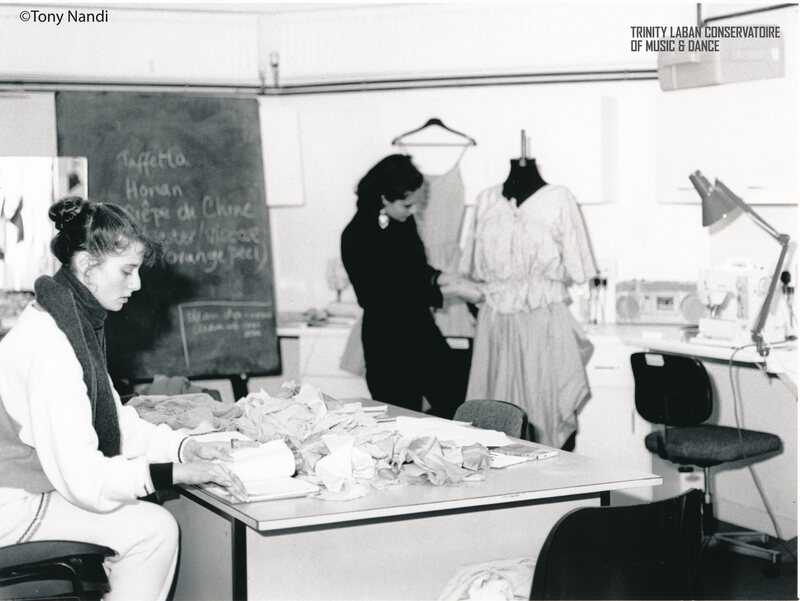 In this the 70th anniversary year of the Faculty of Dance at Trinity Laban Conservatoire of Music and Dance, London, we decided to delve into our history using items from the Laban Archive. 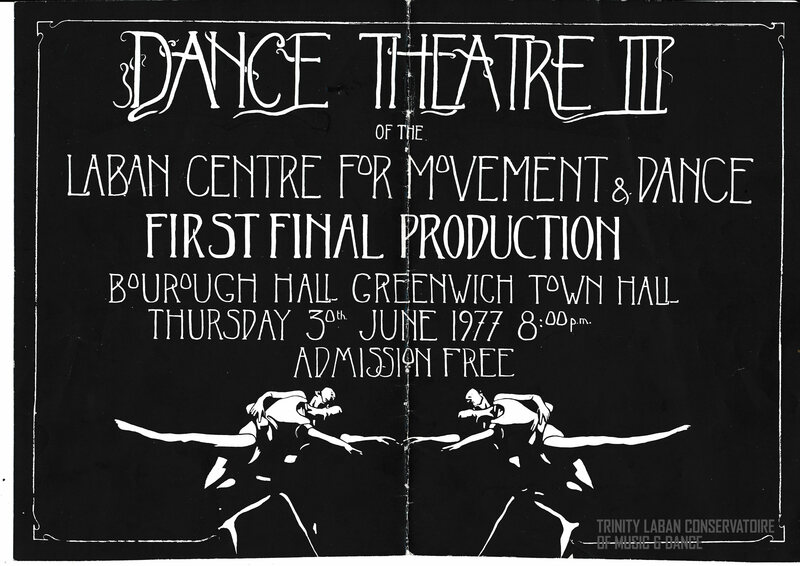 In this blog post we take a look at the life and work of Bonnie Bird who played a crucial part in the development of what was then the Laban Centre. Thirty-three years later, Transitions Dance Company is still going strong. 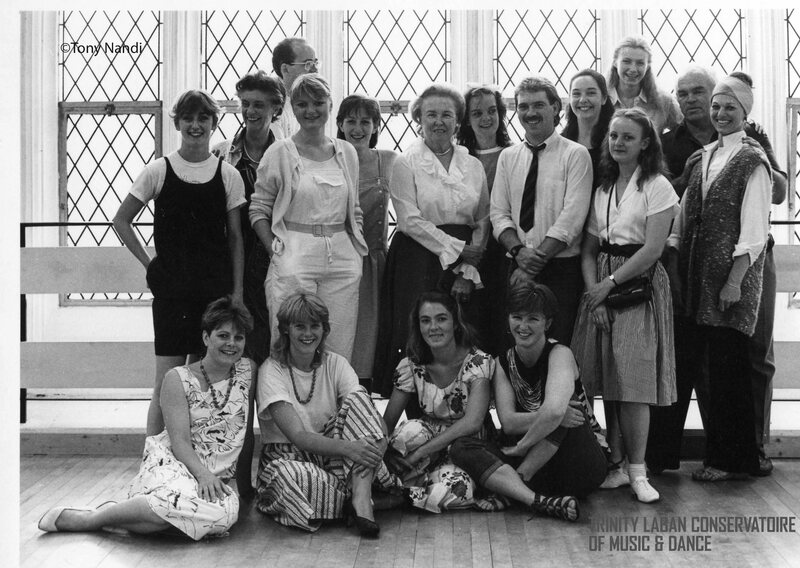 In 1985 Bird set up the Bonnie Bird Choreography Fund to encourage new young choreographers. She used her 70th birthday year to tour the world, raising money for the Fund. The Bonnie Bird Choreography Fund (BBCF) has influenced many internationally renowned choreographers including Lea Anderson, Matthew Bourne and Rosemary Lee. The BBCF continues in its work today, with recipients of the 2015 awards being Botis Seva and Yami ‘Rowdy’ Lofvenberg. 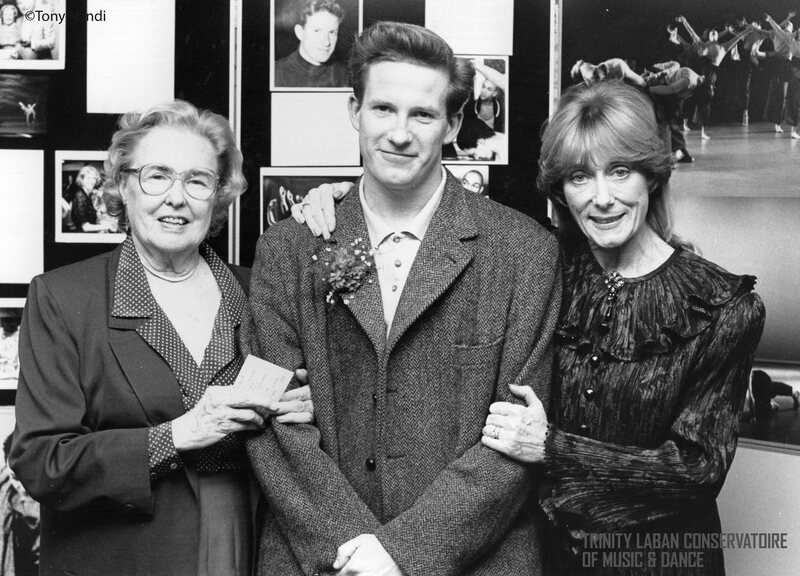 In 1989 Bonnie Bird offically retired and the theatre at the Laban Centre (now the Faculty of Dance, Trinity Laban Conservatoire of Music and Dance) was named after her. ‘this theatre space celebrates bonnie bird; pioneer, educator and dancer whose spirit animates the commitment to developing dance artists of the future’. 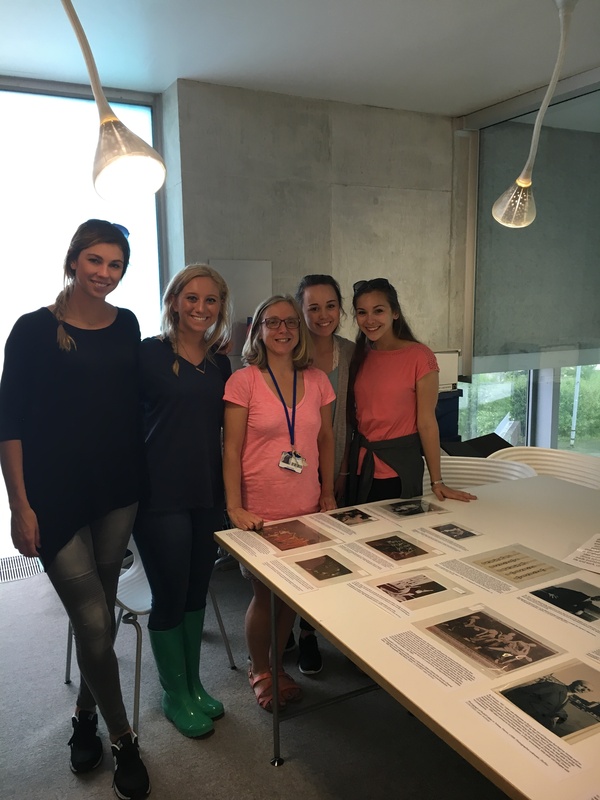 Annie French, a part-time student in her final year on the BA in Creative Practice at Manchester Metropolitan University (MMU) specialising in textile design, spent a day looking at archive material with Jane Fowler, the Laban Archivist, earlier this year. Inspired by Rudolf Laban life story and dance notation scores she created these beautifully designed and embroidered epaulets which reflect the movement score of a ‘forward ocho’, which is an Argentine Tango step . ‘In year 4, I was inspired by music and movement through a local dance class that I was attending. Having two left feet my actual dancing did not improve but I was fascinated by the energy that could be created by dance. 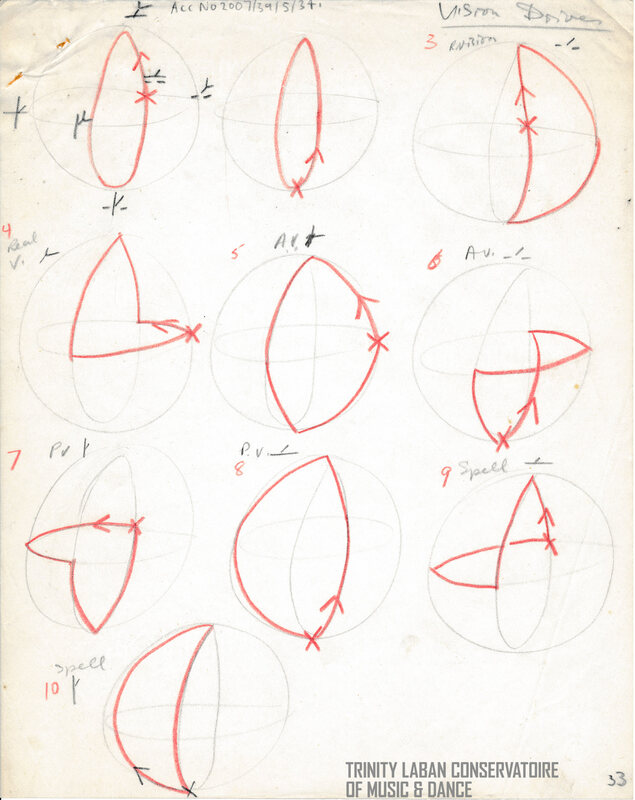 Looking at the work of Michael Kinder (1917-2009), a visual artist who applied mathematical rules to his work, made me think about the rules of dance. Not having a background in dance, it was by chance that I asked a colleague Anjie Taylor who is the Artistic Director of Qdos Creates, a charity that offers community workshops and performances. She trained in dance using Labanotation in Yorkshire, Anjie recommend some books, and I was hooked. 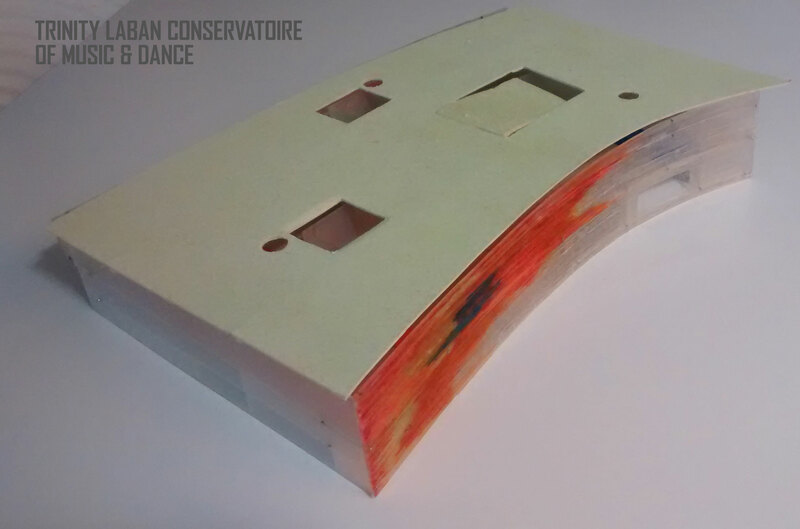 As part of a study tour to New York earlier this year, to visit various design studios, I made an appointment to visit the Dance Notation Bureau (DNB) where they opened up their archive for me to look at some of the original dance scores, old photographs of Rudolf Laban and his students. They also introduced me to the work of Jean Kirsten, a visual artist who has been creating work in conjunction with the Laban Guild. They also loved the initial samples of embroidery that I had been working on, which they have kindly shown on their face book page. Here are a couple of photos from Annie’s studio work. Photographs by Aly Jackson. 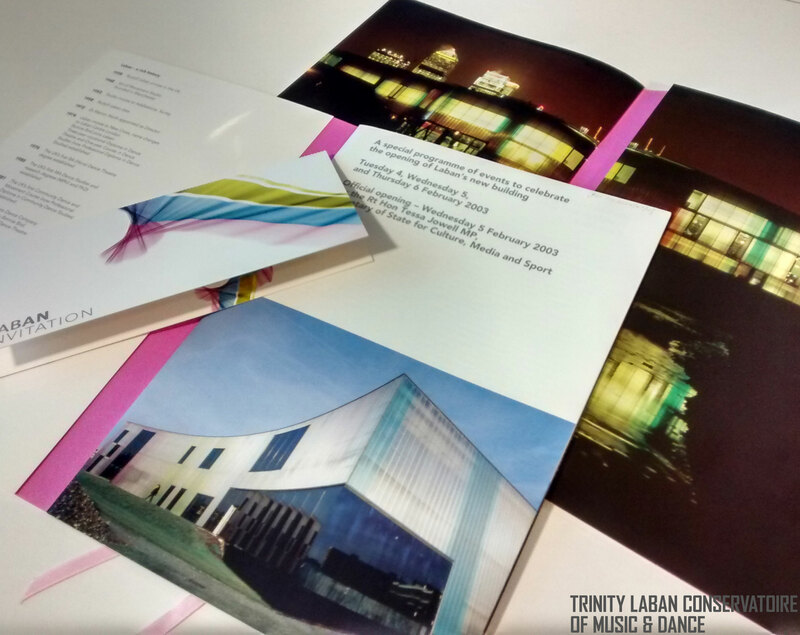 The final artwork was exhibited in the 2016 Unit X exhibition in Manchester and is now on display within the library & archive here at Trinity Laban Conservatoire of Music and Dance in London. Overlapping with Annie’s display the Laban archive hung three introduction panels ‘Treasures from the archive’, aimed at new students and staff providing a tempting snap shot of the fantastic collections the Laban archive holds for their use. It seems that Annie got a lot out of her visits to a number of archives; working with their archivists and their collections. She says she is planning to write her dissertation on how the use of archive material can inspire artists to create art. Having Annie’s new piece of work and the archive panels on show at same time created a satisfying duality. The old inspiring the new and the new animating the old. Thank you Annie. 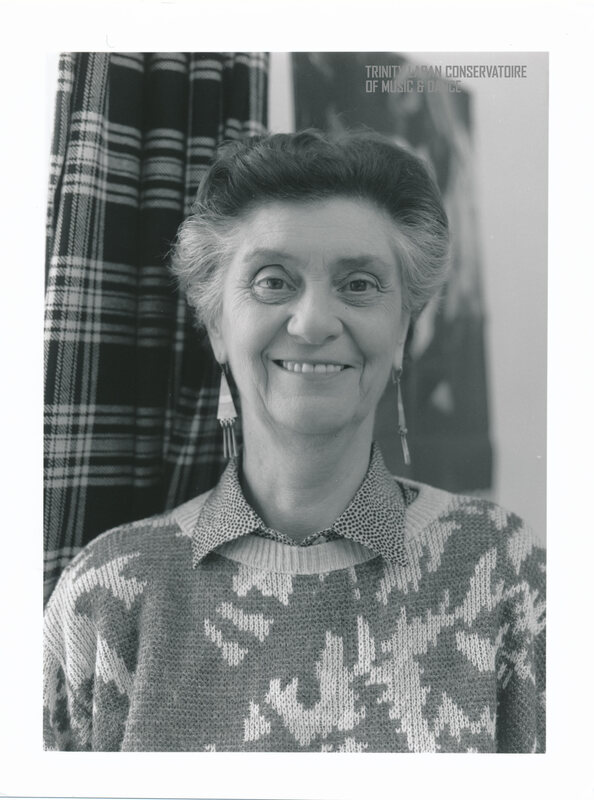 Marion North, former Principal of the Laban Centre, was born in Hull and studied at Homerton Teacher Training College, before undertaking postgraduate study at the Art of Movement Studio in Manchester in the 1950s. After completing her studies, Marion joined the Art of Movement Studio’s faculty, where she specialised in the detailed observation of human behavioural movement. She became apprenticed to Rudolf Laban, developing a test for assessment of personality through the analysis of physical behaviour and pioneering creative movement in the workplace as recreational activity for industrial workers. Marion left the Art of Movement Studio in 1958, the year that Rudolf Laban died. She became Head of Dance at Sidney Webb College, London from 1962-72 and then Head of the Dance Department, Goldsmith’s College from 1972-80. She became Principal of Laban in 1973. 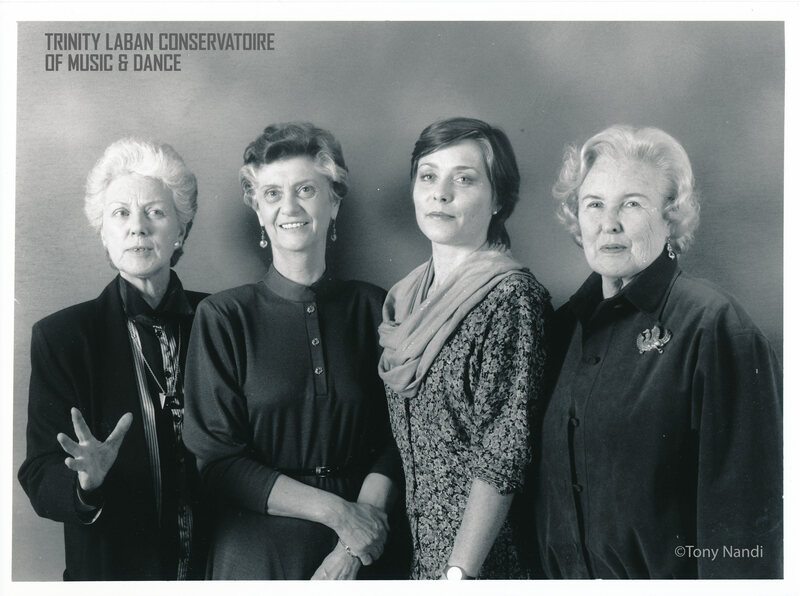 Under her leadership, Laban offered Britain’s first BA (Hons) Dance Theatre (1977), the first MA in Dance Studies (1980), the first MA in Dance Movement Therapy in collaboration with Hahnemann University, Philadelphia (1995) and the first MA Scenography [Dance] (1999). 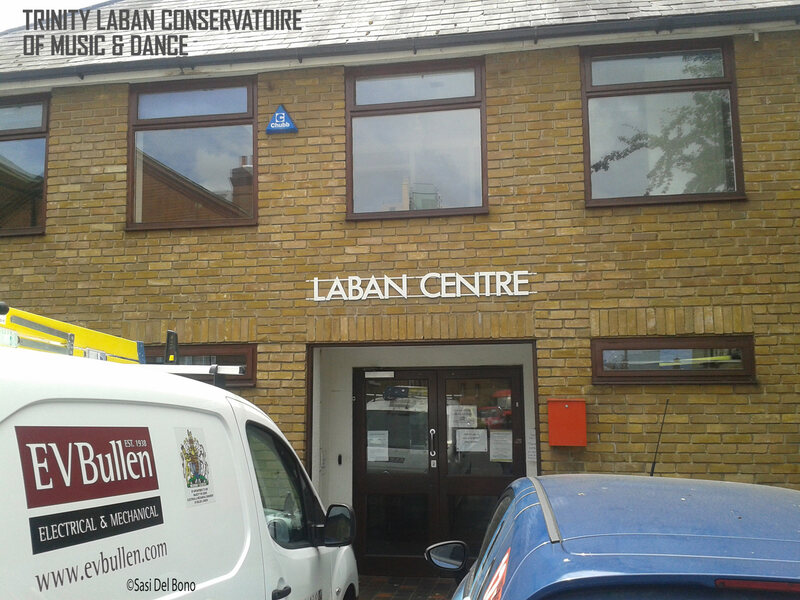 Under Marion the Laban Centre became an international institution, particpating in international events as well as hosting choreographers and dancers from around the world to teach, work and inspire students at the Centre. Marion invited Bonnie Bird from the US to come and teach at the Laban Centre. 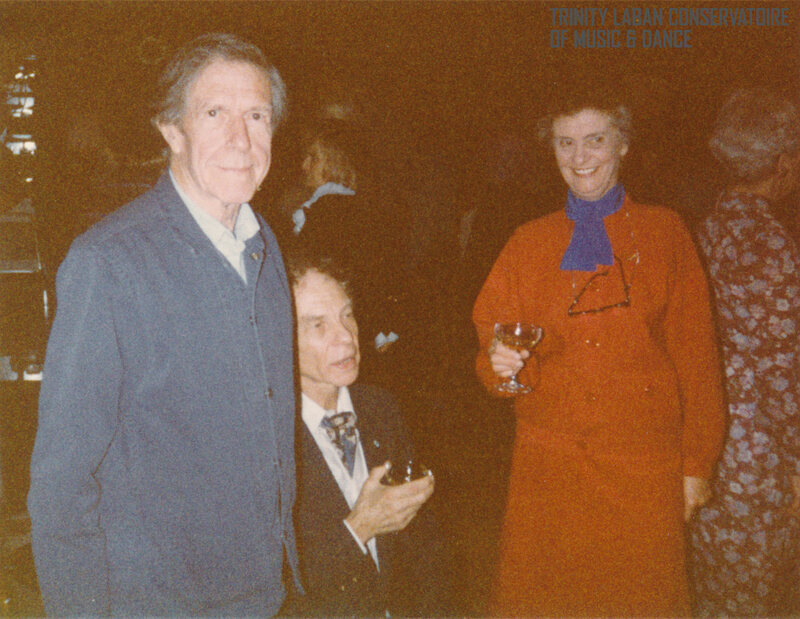 Marion and Bonnie had first met at the Dance Notation Bureau in New York in 1970-71. They struck up a partnership ‘which was to have a dominating influence on the Laban Centre.’ (Willson, p. 179). Bonnie Bird came to work full-time at the Laban Centre in 1974. Marion was a Visiting Professor at numerous colleges and universities in the United States, Canada, Great Britain, France, Greece, Japan and Taiwan. 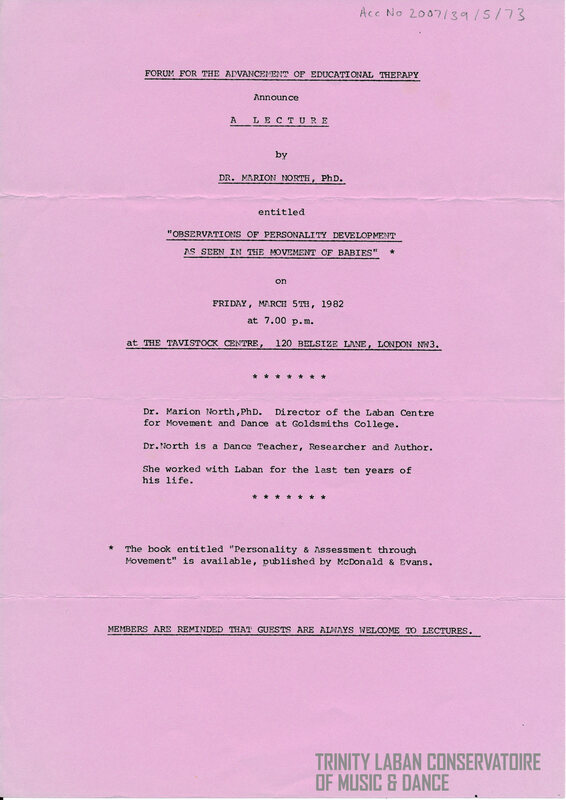 Her own studies included a longitudinal study of movement characteristics of babies to adolescence as well as the application of Rudolf Laban’s principles in industry. 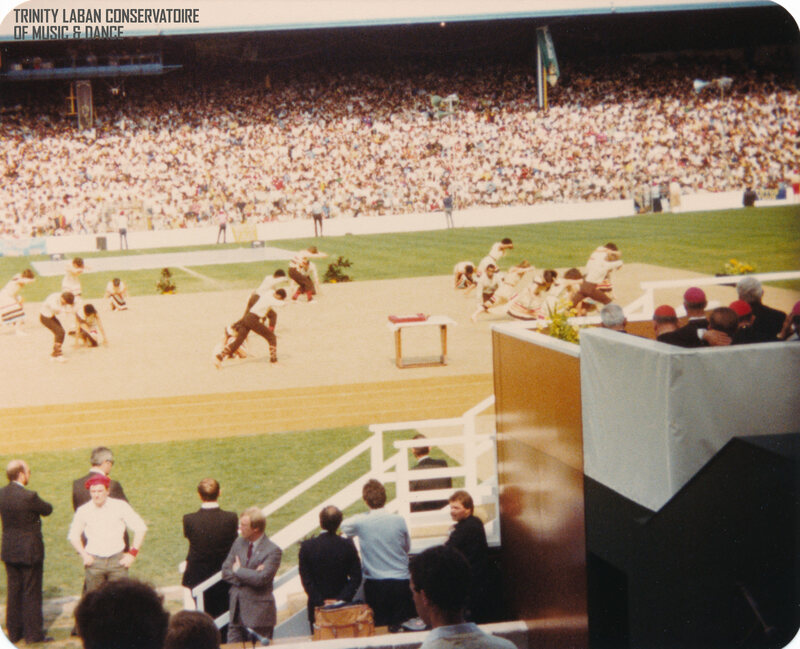 Marion held a PhD in Psychology and Movement Study from the University of London. Marion North was awarded an OBE in 2000 and Doctor of Letters honoris causa by the University of Salford in 2001. She retired in 2003 having overseen the move of Laban (now the Faculty of Dance) into its new building at Deptford, South East London. 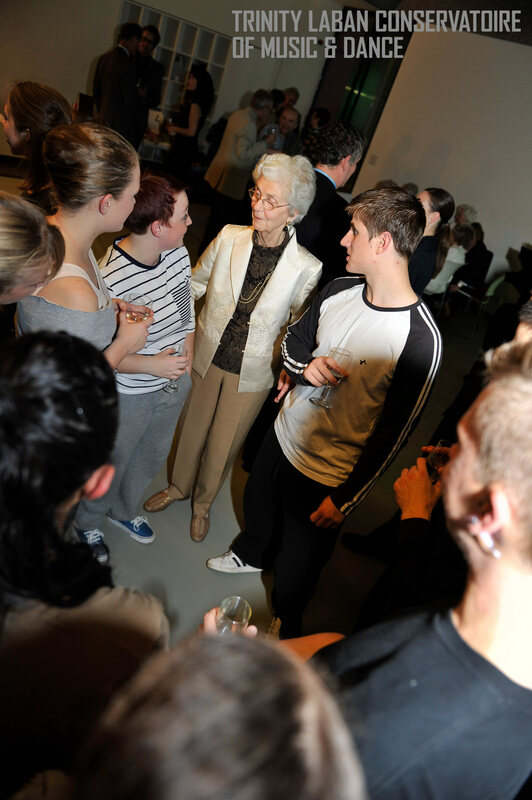 In 2004, Marion was awarded CBE as former Principal and Chief Executive of the Laban Centre. Marion North died in 2012. Willson, F.M.G., 1997. 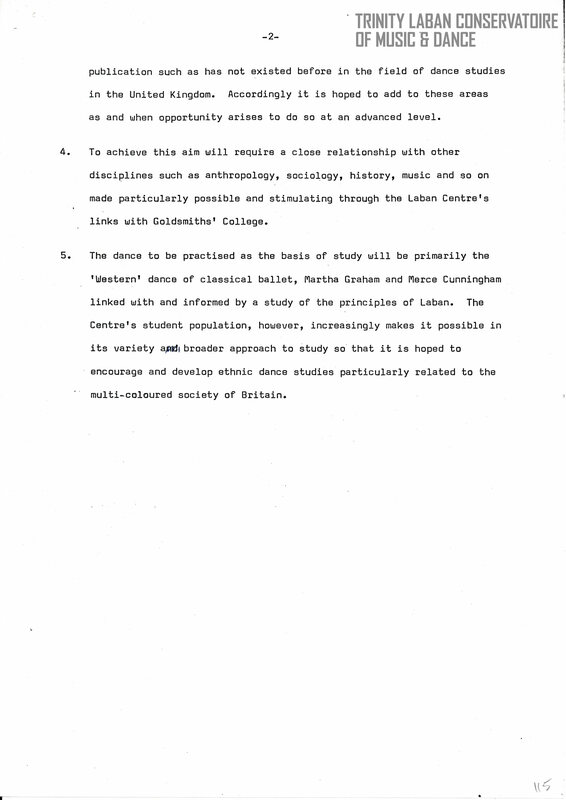 In Just Order Move: The progress of the Laban Centre for Movement and Dance 1946-1996, Athlone Press, London. 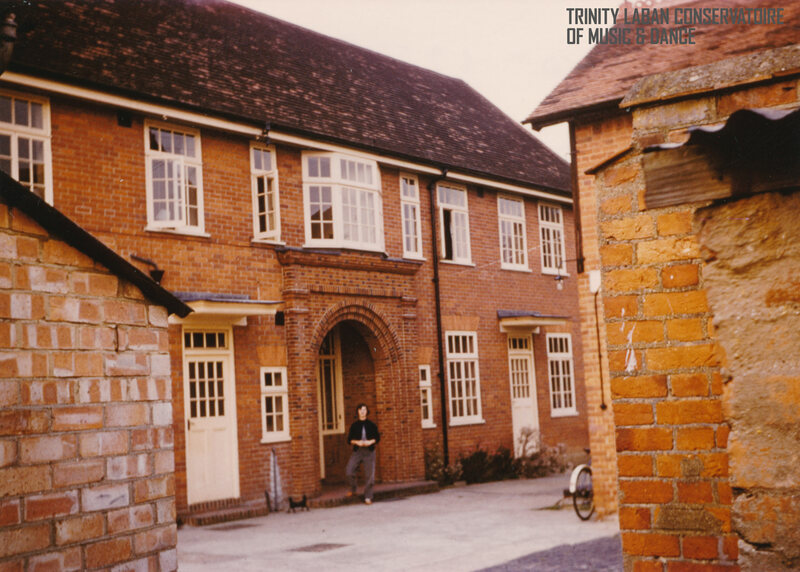 In July 1953 the Art of Movement Studio (now the Faculty of Dance, Trinity Laban) moved from Manchester to Addlestone in Surrey. It moved into a site that had previously been occupied by a choir school called ‘St Mary-of the-Angels’. The site had been purchased by William Elmhirst, son of the wealthy philanthropists Leonard and Dorothy Elmhirst, owners of Dartington Hall in Devon. William or “Bill” Elmhirst had been captivated by Rudolf Laban and his teaching at Dartington and was keen to support his activities. 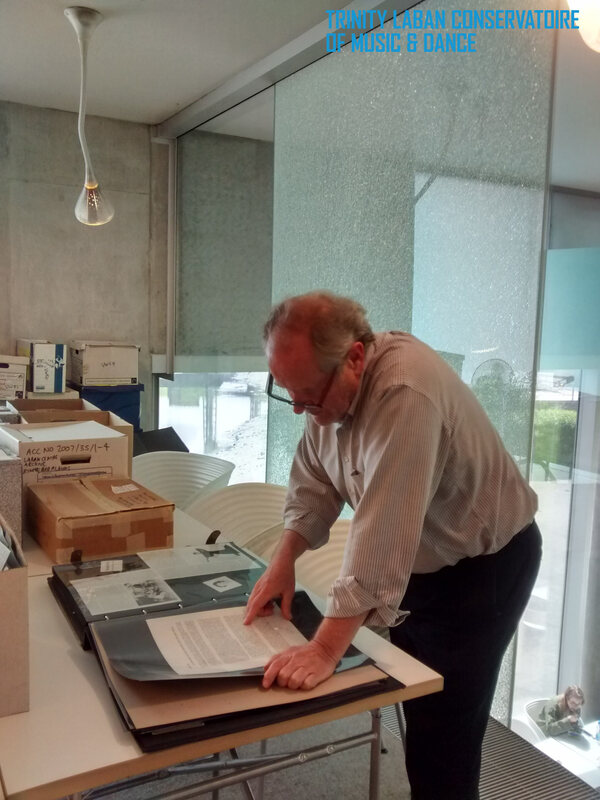 He purchased the Addlestone site for £15,000 for Laban and Lisa Ullmann. 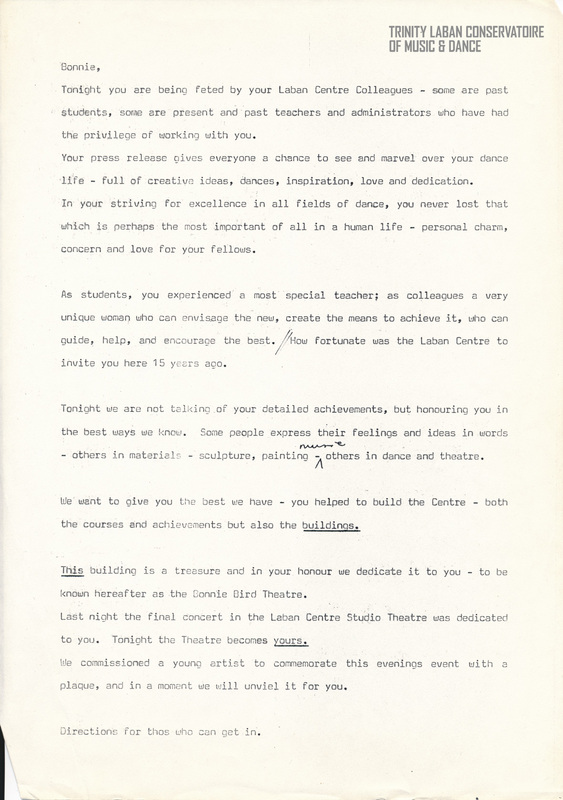 The document below is part of the Studio prospectus sent out to students in the 1960s, outlining the courses the Studio ran. In 1962 Margery Weekes, a PE teacher at Catford County Girls School, enrolled at the Art of Movement Studio on the one year Special Course. 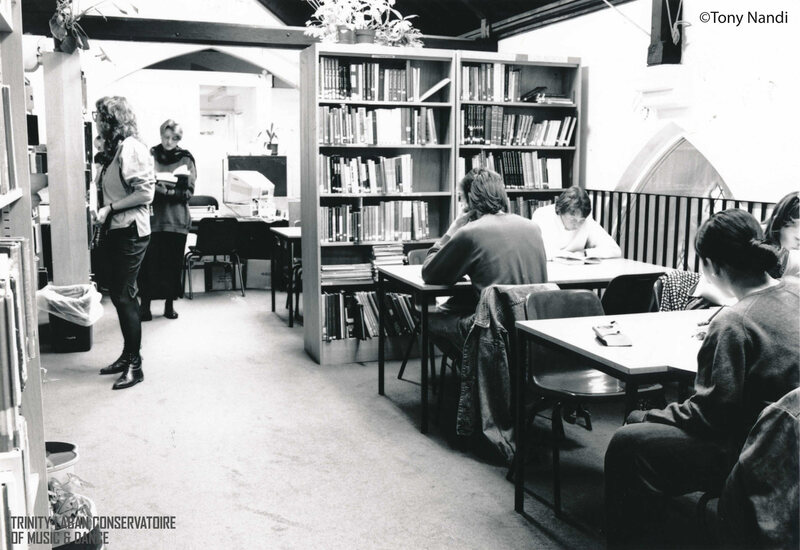 Throughout the 1960s and ’70s the number of full-time students at the Studio averaged just under 80 per year (Willson, p.72) but the total number of people it reached through its short courses and summer courses ran into the thousands. 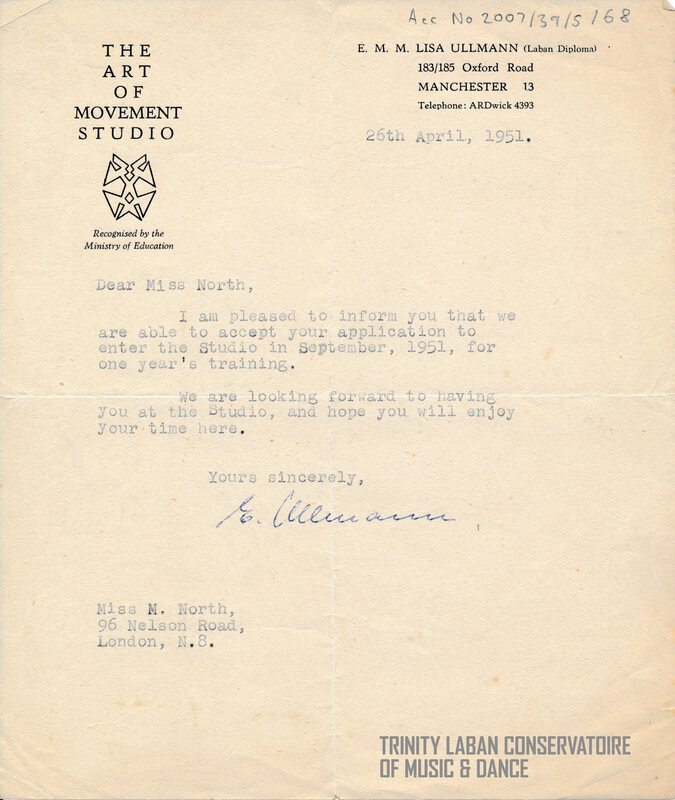 Marion North had first come to train at the Art of Movement Studio in 1951 when it was still based in Manchester. She became an assistant to Rudolf Laban and Lisa Ullmann and remained with them at the Studio until 1958. She left in order to widen her experience and worked with factories and communities, applying Rudolf Laban’s ideas. 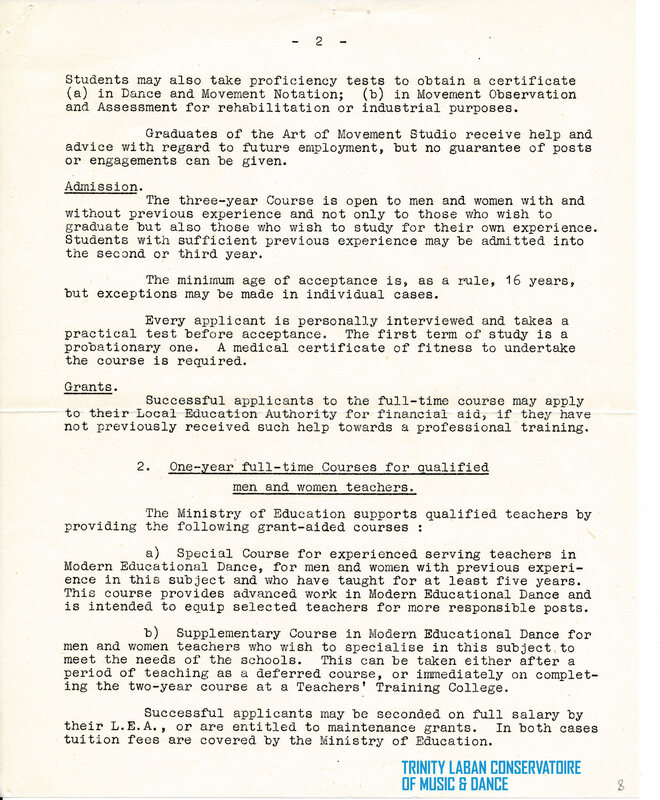 In the mid-1960s she was appointed head of the Movement and Dance Department at Sidney Webb College. 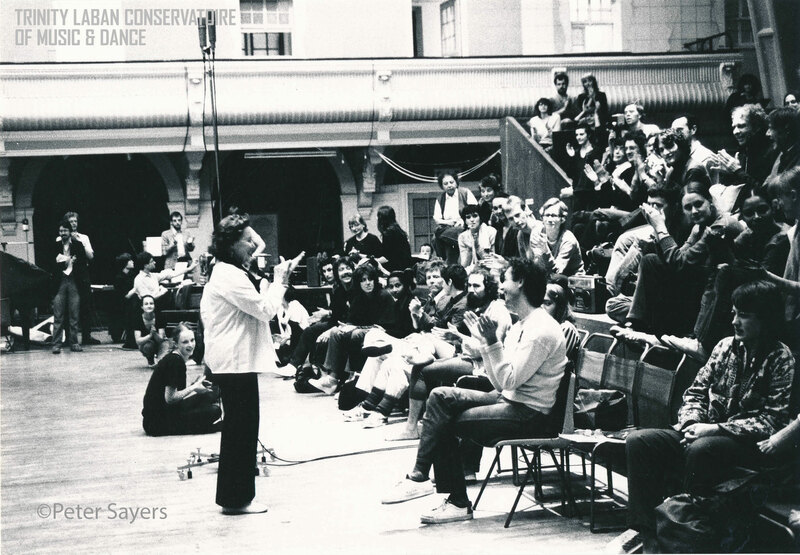 In 1972 Marion was offered and took on the Headship of the Movement Department at Goldsmiths’ College, University of London and in 1973 she also took over leadership of the Art of Movement Studio at Addlestone when Lisa Ullmann retired. 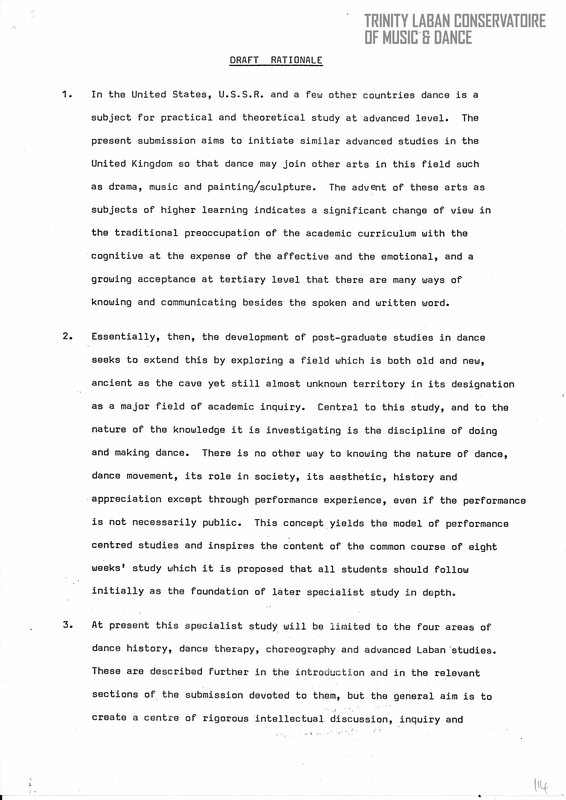 The text ‘In just order move: The progress of the Laban Centre for Music and Dance 1946-1996′ by F.M.G. 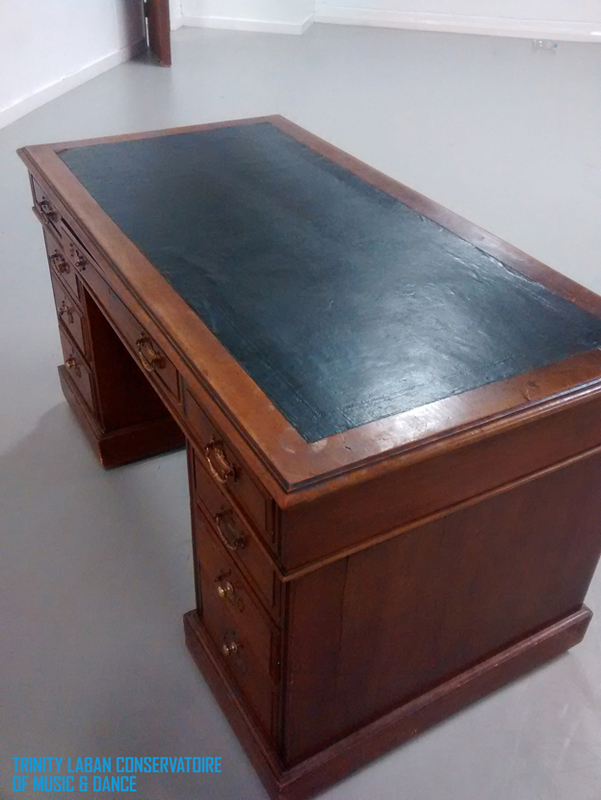 Willson describes in detail all the political machinations whereby the Art of Movement Studio at Addlestone came under the responsibility of Goldsmiths’ College in the 1970s. Suffice to say that with the help of a grant from the Gulbenkian Foundation, and the promise of renovated old school premises at New Cross to be made available, Goldsmiths’ commited themselves to selling the site at Addlestone and moving the Studio to Laurie Grove, New Cross, London in September 1976 (Willson, p.177). 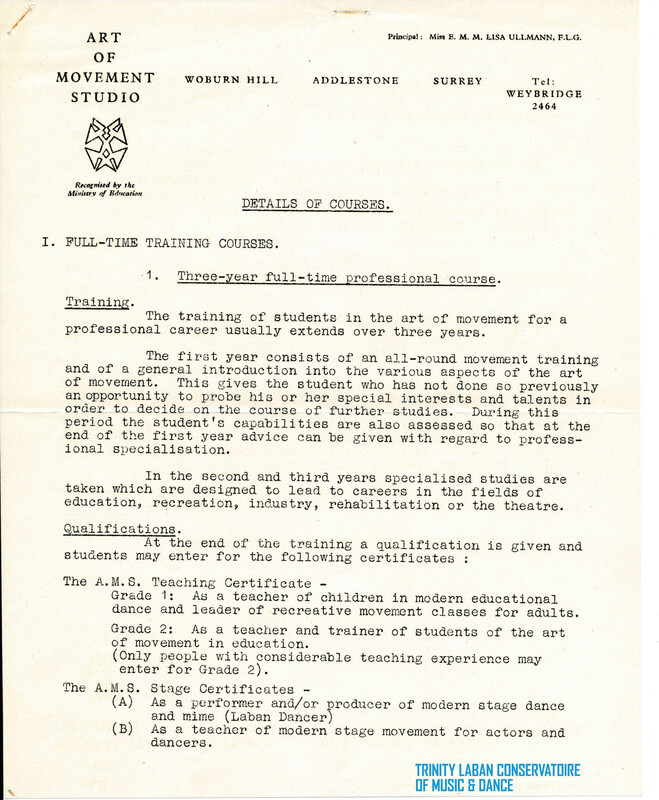 Our next blog post celebrating our 70th anniversary will follow the Art of Movement Studio’s move to Laurie Grove, New Cross and the fundamental changes carried out by Marion North which would drive the institution forward to becoming the Laban Centre and ultimately the Faculty of Dance at Trinity Laban.